If you have ever felt so tired or sore that you thought you might collapse, you are not alone. 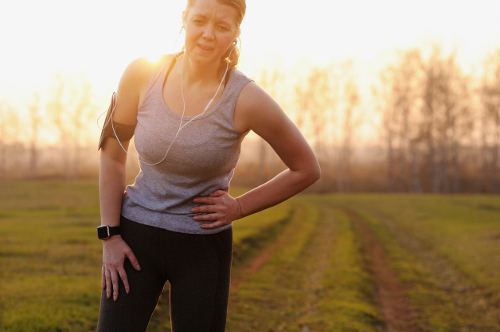 Overexertion is a common state faced by many after a strenuous workout, a long workday, or any hours-long sports activity. It is more intense than exhaustion, as overextension is similar to being overextended in a task. What is more concerning is the possible injuries suffered from overexertion. Let’s take a look at how these injuries come to be and what, if any, precautions can be taken for prevention of overexertion injuries. To put it simply, overexertion is the state of being physically and mentally pushed beyond one’s limits. This relates to your physical capability, age, strength, and tolerance. As a non-impact injury of excessive physical effort, it is linked to pulling, pushing, lifting, holding, carrying, turning, and throwing. In terms of overexertion injuries, we refer to the two types of such injuries: strains and sprains. Any strain injury is the tearing or stretching of the muscle or tendons; and sprains are stretching or tearing of the ligament. It is important to understand and recognize the signs of overexertion to prevent further complications. What Are the Signs and Symptoms of Overexertion? Overexertion can happen to anyone, not just high performance athletes. There are signs alerting you to slow it down and take a break or rest from your current activity. Overexertion symptoms should be taken seriously to avoid more serious injuries. This is a key overexertion sign when exercising or performing a workout. During the activity, check and see if you can form a sentence without difficulty. If you cannot speak because you are breathing too roughly, slow down or take a break. You can develop an overexertion injury by performing a repetitive task over time, whether it is work-related or an exercise routine. This can appear as a stress fracture or tendinitis, with signs of soreness or a dull, aching sensation. The best response is to avoid the activity for proper healing. During the task or exercise workout, you may have a form of pain such as a pinch, tightness, or a throbbing or burning sensation. At this point, stop the activity and rest. A dry mouth, fatigue, and dizziness are all signs of dehydration, a common overexertion symptom. You are already dehydrated if you become thirsty. Dehydration is a sign to slow down and replenish with fluids. Overexerting your body and mind can lead to feelings of fatigue. In addition to feeling worn out, you may experience dizziness, irritability, and become irrational. This requires not only limiting yourself, but also being mindful of the amount of rest and sleep you get. Do not force yourself through an exercise routine or work project. By getting proper rest, eating healthy, exercising regularly, and avoiding harmful substances like alcohol and caffeine, you can avoid fatigue. Along with severe forms of the symptoms mentioned, there are several overexertion signs that can lead to life-threatening conditions. Seek immediate medical attention if you experience difficulty breathing with dizziness and chest pains or pressure. These can be signs of an impending heart attack. Immediate treatment for overexertion is to stop the task or activity and rest. Take stock of any signs and symptoms of overexertion and treat the symptom. Use ice or heat compresses for muscle and joint soreness or stiffness. With muscle knots or tension, have a warm bath infused with Epsom salts for relief. To avoid the condition of overexertion and overexertion injuries, use the following guidelines and tips. Limit the weight of any objects you are handling, especially when carrying or lifting. Push instead of pulling when possible. Follow proper procedure when working with machines and large objects. Plan and understand the job or task before attempting it. Use appropriate equipment or machinery for task. Avoid working or exercising in extreme temperatures. Maintain proper posture when walking, sitting, and standing. Stretch before and after exercise workouts. Exercise regularly, including strength training. Take frequent short breaks when performing repetitive tasks. Get proper rest and sleep every night. Keep hydrated by drinking water throughout the day. Overexertion injuries are a common occurrence in the workplace and in everyday activities. More than three million people are affected by overexertion injuries each year, and that’s only the number of people who seek medical attention. Being physically fit helps, but does not prevent such injuries. The only way to avoid overexertion is to be alert to personal limits. Pushing yourself past your limits is a popular motto for workouts and life, but you must remember to protect your body and mind at the same time. “Overexertion: Signs, Symptoms, Causes, Treatment, Prevention,” ePain Assist; https://www.epainassist.com/articles/overexertion, last accessed May 2, 2017. “The Understated Injury: Overexertion,” Healthline; http://www.healthline.com/health/understated-injury-overexertion#overview1, last accessed May 2, 2017. Linck, L., “Tips for preventing physical overexertion,” Kansas State University, June 9, 2011; https://www.k-state.edu/today/announcement.php?id=1281, last accessed May 2, 2017.